M Com Publishing is a full service publishing, marketing, and public relations company specializing in customized, full-featured packages for writers, as well as unparalleled customer service and support. We also offer top of the line social media promotion and high quality eBook services to help clients expand beyond traditional paper. We have a passion for public relations and love nothing more than cultivating and creating brands for both aspiring and established writers. We have strong relationships with book editors, producers, and media around the country and our clients have enjoyed coverage on several national television shows including Rachel Ray, ABC National News, multiple national radio shows and magazines including Ebony, Success, and much more. Please contact us for a free consultation or with any questions at info@mcompublishing.com or 916.939.3344. 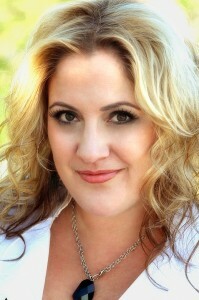 M Com Publishing is led by publicist extraordinaire and marketing whiz, Michele Smith. Michele founded MCP after years of public relations success serving creative writers and entrepreneurs as CEO of M Communications, and co-founder of 3L Publishing. In 2010, Michele left her post at 3L to found M Com Publishing and pursue her personal passion for promoting non-fiction books that delight, inspire, and educate the reader. Michele is an award-winning marketing professional with years of marketing experience in diverse markets. As an author and seasoned publicist, she has appeared on Rachael Ray, ABC National News, Success Magazine and many national radio programs. With contacts at every national broadcast and print media outlet, Michele’s clients have enjoyed media coverage in regional and national markets. Michele is also CEO of M Com Publishing’s sister company, M Communications. MCP also works with an extensive network of extremely skilled and experienced designers, web programmers, and project managers that will help you keep your project on-track.